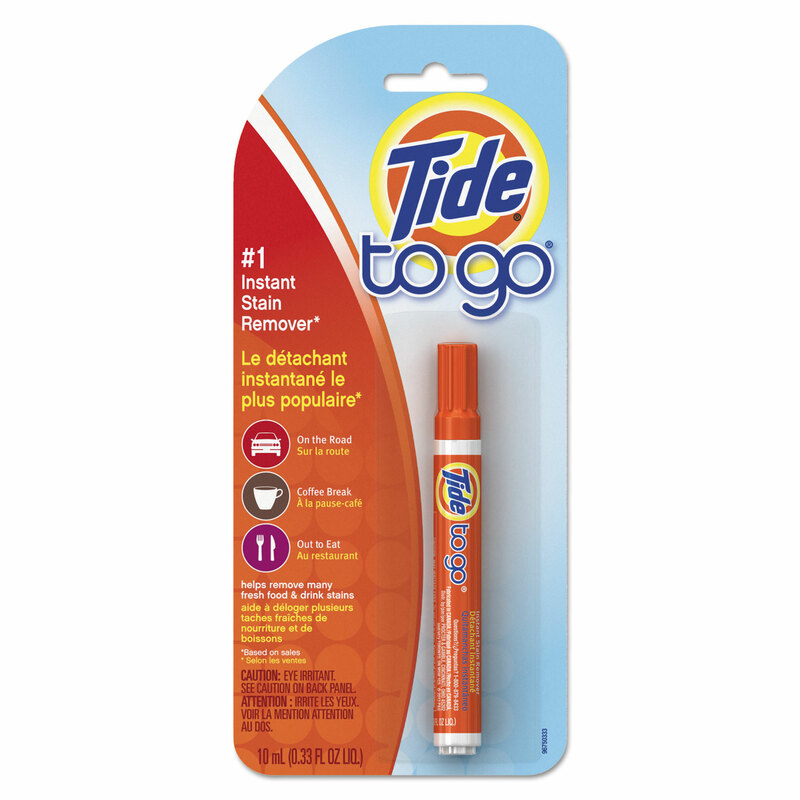 PROCTER & GAMBLE Fight stains instantly with a swipe of the pen. 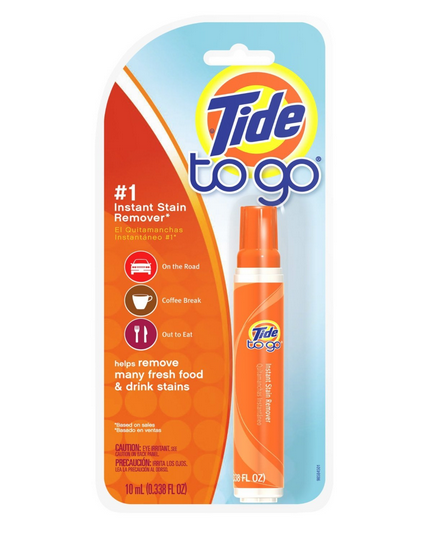 Tide to go removes most everyday spills on fabric including coffee, ketchup, wine and more. 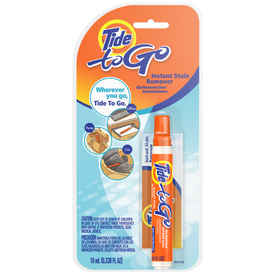 Perfect for storing in cars, suitcases or every room in the home. 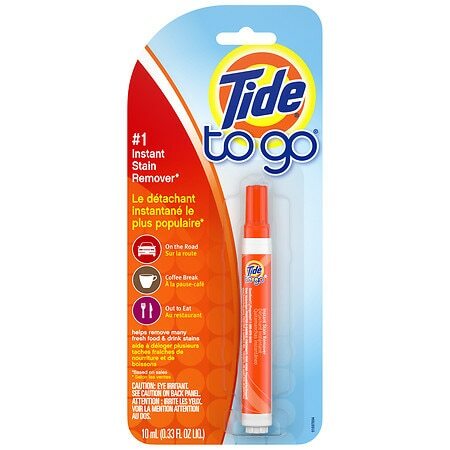 Tide To Go Instant Stain Remover Pen - 0.33 oz. 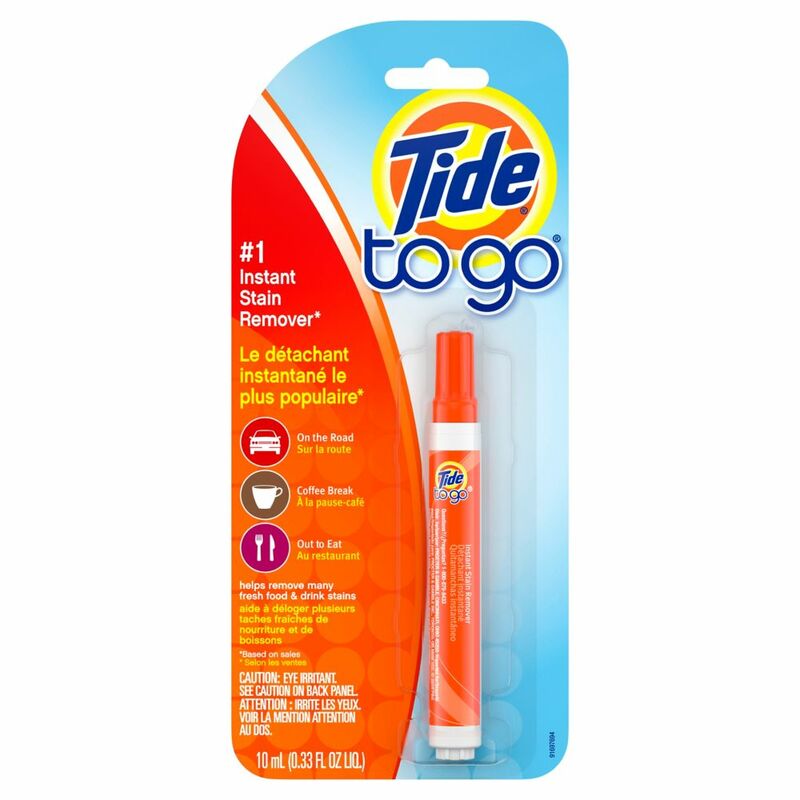 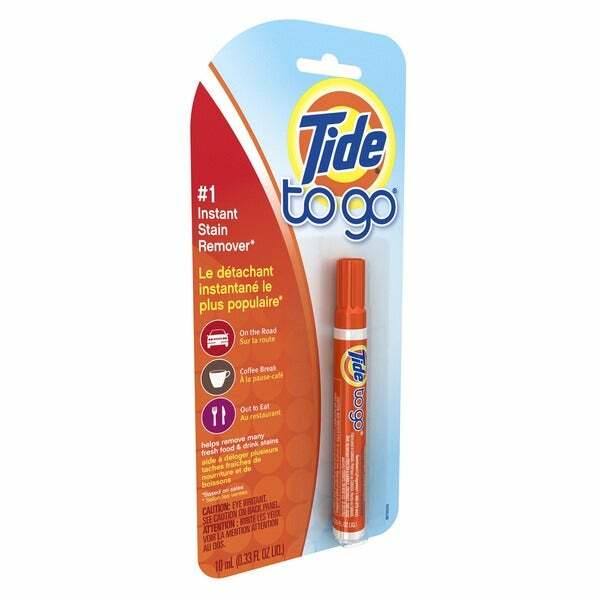 Tide to Go Stain Remover Pen - .338 oz.